.UK Domains - The top-level domain name for the UK's Webmasters and Businesses. .UK Domains, available from £4.03 per year! Put the emphasis on your website name - exactly where it should be. Find your perfect .UK today! Make your mark online and stand out from the rest of the World Wide Web. A great opportunity to expand your domain portfolio & protect your brand. What is a .UK Domain Name? .UK (www.example.uk) is a shorter, snappier domain extension for the United Kingdom. This is the first time that the .UK top-level domain is available as part of the UK Domain Family (.co.uk, .me.uk, .org.uk) and is set to revolutionise the .UK domain namespace in a big way. With its shorter, snappier and easier to remember domain extension, .UK domains are a more obvious competitor to .com than the existing second-level domains and are likely to become the new standard for websites based in the United Kingdom. The .UK domain extension launched on the 10 June 2014 and you can buy .UK domain names right here at GetDotted. Simply enter your chosen domain name in our .UK Domain Rights Lookup Tool to get started. * While .UK domains are available for new registrations, some domain names will initially be reserved for rights-holders, if they already own the equivalent .co.uk or other qualifying domain (.org.uk, .me.uk) from the UK Domain Family (e.g. if you own example.co.uk, example.uk is reserved for you). The reservation period for rights-holders is 5 years from the launch date. Find out more about Reservation Rights for Existing UK Domain Owners. .UK Domain Rights Lookup: Find your domain now! To find your ideal UK domain name simply use our .UK Domain Rights Lookup Tool to check whether the .UK is available or already has rights reserved. 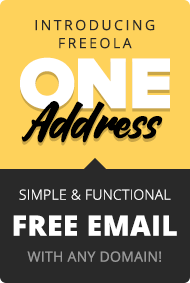 Remember, with GetDotted.com & Freeola Internet you don't just get a domain name, we'll also throw in free unlimited e-mail and website! If your chosen .UK name is not already reserved, registering a .UK is exactly the same as registering any other domain. You can order your chosen .UK domain with GetDotted (assuming the rights are not reserved). Why not check with our .UK Domain Rights Lookup Tool. If you are the current registrant of an existing UK Domain Family address, you may have reservation rights for a .UK domain. For example, if you are the existing registrant of example.co.uk, then example.uk domain will be reserved for you for a period of five years, providing that your existing domain remains registered. If you choose not to register the .UK domain during the reservation period then it will become generally available. Domain names ending in .co.uk, .org.uk, and .me.uk are eligible to qualify for reservation rights to the equivalent .UK domain, (subject to the .UK Domain Rights & Eligibility Criteria). For more information on .UK Domains please visit the Nominet .UK Site FAQs. You can check whether you hold the rights to the equivalent .UK domain extension by using our .UK Domain Rights Lookup Tool. WHAT HAPPENS TO MY EXISTING UK DOMAINS NAMES? All your existing UK Domain Family domains (.co.uk, .org.uk, .me.uk,) will continue to run and function as normal. The dot UK domains extension is not meant to replace any of the existing .UK Domain Family domains, but to act as an additional platform to help increase the online identity and presence of websites based in the United Kingdom while grouping them under the trusted domain brand that is the UK Domain Family. Where the registrant is overseas, a UK-based contact address is required. For our overseas customers, we can offer our own office address as an 'address for service' so you can obtain your .UK domain, regardless of where you are in the world. Only full postal addresses and not PO Boxes will be accepted as a valid registrant or contact address. To find your ideal .UK domain name simply use our Domain Lookup Tool to check whether the .UK is available or already has rights reserved. Registrants of UK domains (.co.uk, .org.uk and .me.uk) that registered before 23:59hrs on 28 October 2013 will be eligible to register the equivalent new .uk domain, provided there was no other corresponding .co.uk, .org.uk, or .me.uk registered. Registration rights for .UK domain names are valid for 5 years from the launch date (10th June 2014) as long as the equivalent UK domain registration stays active. All .co.uk domains registered after 28 October 2013 and before the new .uk domains are launched will also have rights to the .uk equivalent, as long as there is no 'clash' with any existing domains meeting the criteria above. Want to order your domains(s)? 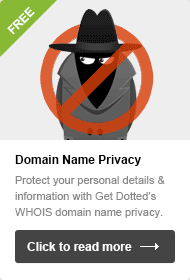 You can order DOMAIN NAME HERE right here at GetDotted. Alternatively, you can check another .UK domain using the .UK Rights Lookup Tool. 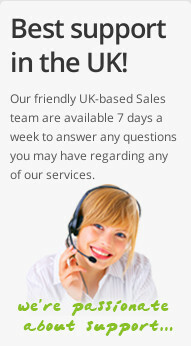 Want to order your .UK? If you're the current registrant of DOMAIN NAME HERE then you have the rights to the equivalent .UK domain name. Click the button below to go to our domain search and order your new .UK domain! Not the current registrant of DOMAIN NAME HERE? Check another .UK domain using the .UK Rights Lookup Tool.